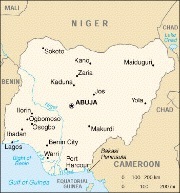 Nigeria’s network of Islamic boarding schools, known as almajiri habours children as young as four or five and exploit them by sending them into the streets to beg for food and money. According to a child victim, ’It is compulsory for us to go and beg. If we stayed at the mallam’s (master) house he’s not going to provide us with food - we have no option but to go out and beg." For the children that remain in the current almajiri system, the future looks bleak. When they finish school they have no certificate to get a job. Lots of them end up being criminals and victims. Muhammad Babandede, of Nigeria’s anti-trafficking agency Naptip, says that children of almajiri are being exploited: the children are in danger of being used for criminal activities, even recruited into terrorism. An estimated eight million Nigerian children live in almajiri, an Islamic school system common in northern Nigeria, Chad and Niger. The children are sent there by their parents to learn to memorise and recite the Koran. Ahmed Modibbo of Nigeria’s Federal Ministry of Education says the main problem with the almajari schools is the inability of the education ministry to integrate them with the state’s basic education system. The islamic system has however been blamed for a rise in the number of beggars in the urban centres of mainly Muslim northern Nigeria and Mr. Modibbo believes Nigeria’s state governments should provide economic incentives to the mallams, so that they don’t have to rely on children to beg for them. Critics claim that the state government are only paying lip-service to this problem, as they have closed their eyes to these schools. There must be good accommodation, good healthcare in these schools, but the government and the parents are not willing to take responsibility for these children.